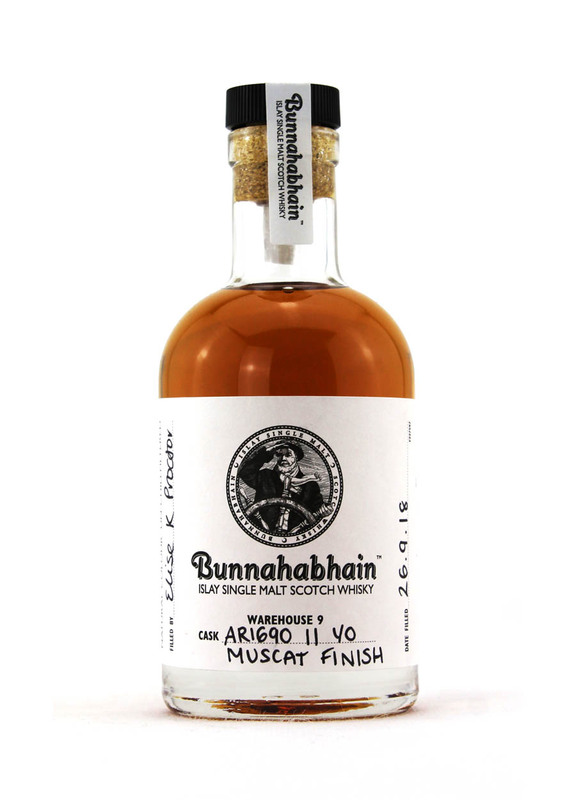 Bunnahabhain 11 Year Old Muscat Finish (20cl). Signed by a member of staff 26.09.2018. 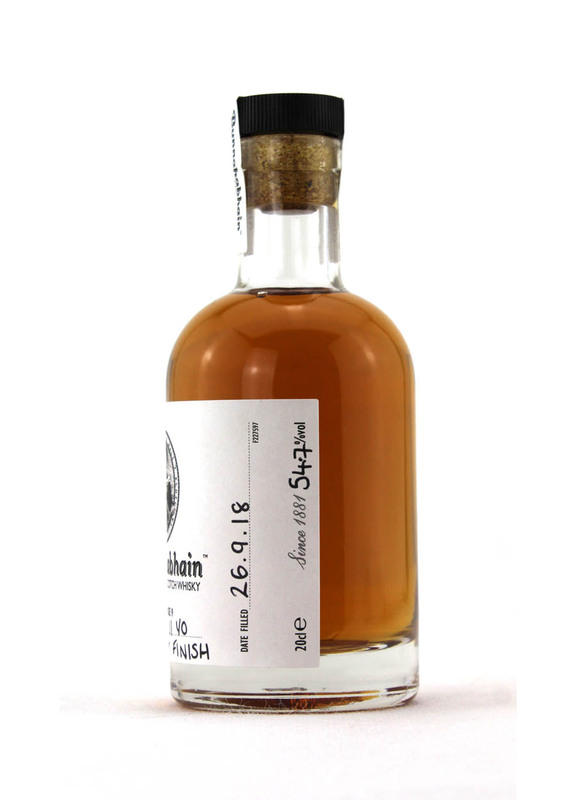 Finished in a Muscat cask from warehouse 9-Cask #AR1690. This bottle does not have a tube. Comments: No bottle tubes were available at the distillery. Sorry not available at present. 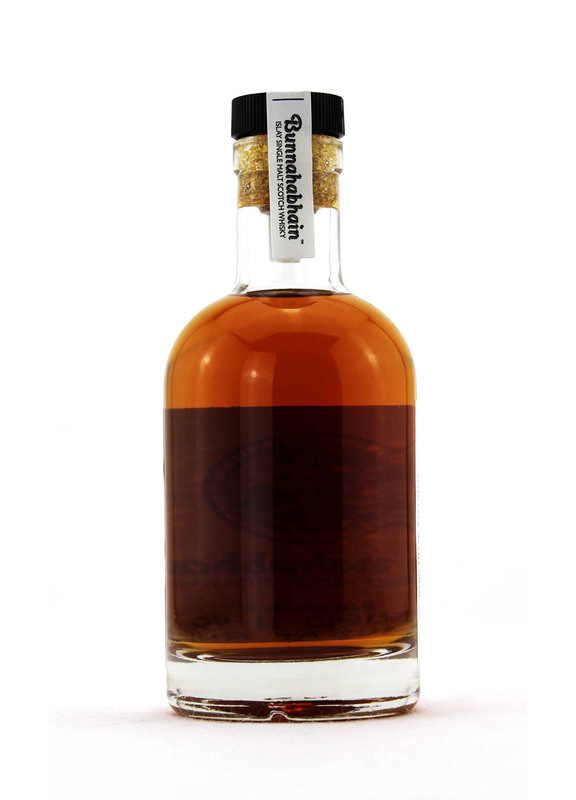 Bunnahabhain means ‘mouth of the river in Gaelic’. 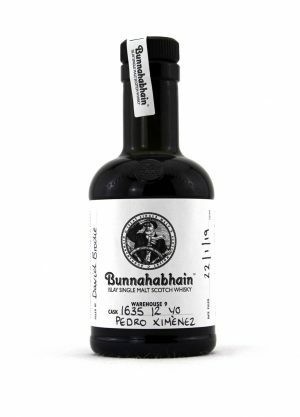 It’s origin can be traced back to 1879 when the idea of an Islay Distillery Company was created and the distillery built in 1881 beside the beautiful Bunnahabhain Bay on the Isle of Islay. If you stand for a moment your senses will smell the scent of the salt on the wind. The distillery relied on sea trade and boats were sent from the village pier full of casks of whisky to the mainland. 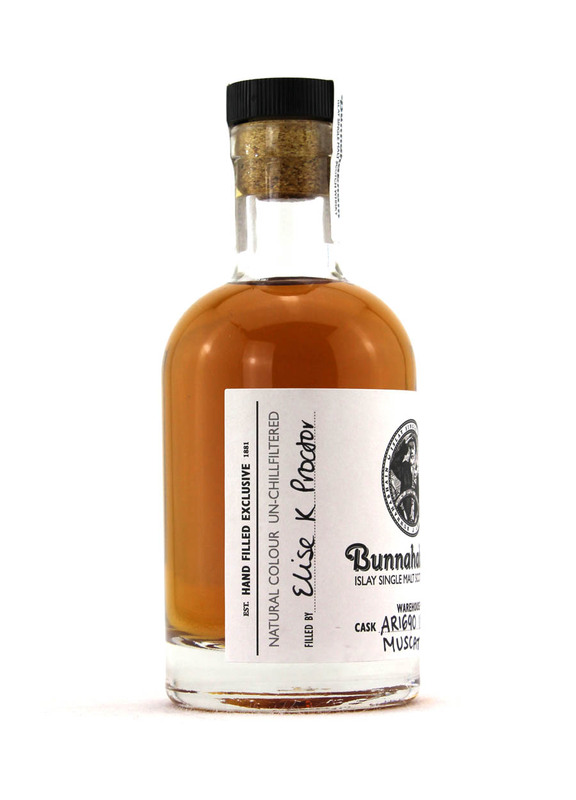 Sadly in 1930 the distillery closed due to an economic downturn after the Great War but opened again 7 years later. Over the years Islay hasn’t changed much – the scenery is stunning. New roads have been built making it easier to travel around the Island. Over the years demand soared, new stills installed in 1963 and production increased. Investment also increased, packaging was modernised and a visitor centre added. Staff make you feel welcome, the whisky tours are popular creating a great atmosphere.